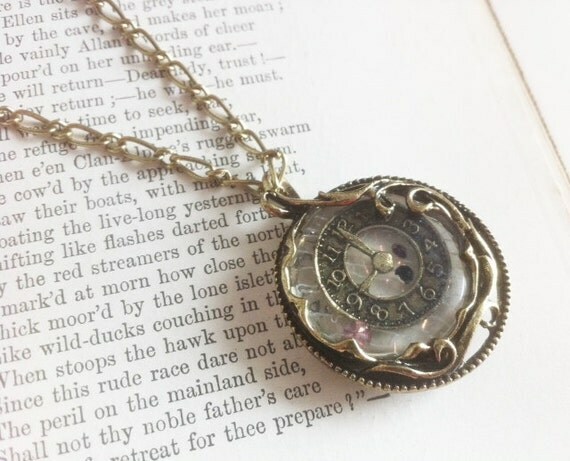 This wonderfully detailed necklace will allow you to travel back in time*! Made out of antique-looking brass, with a clock face, incased inside a translucent resin. Three sparkly crystals were added for that extra bit magic. The pendant measures a bit over 1 and 1/4" in diameter and hangs from a sophisticated 30" chain (with additional 3" extender) . This necklace will arrive to you lovingly gift wrapped.